So as I told you couple of days ago, there was a company here in Iceland who started importing sojade soy yogurt. Wich many people are very thrilled about. I’m that kind of a person who doesn’t like to eat just a plain yogurt. I want to have something crunchy in it. Most of the time I just use store-bought cereal, and that’s fine sometimes. But I really wanted something new this morning so I just made something new. Well this is not difficult in any way or very much original I know that. 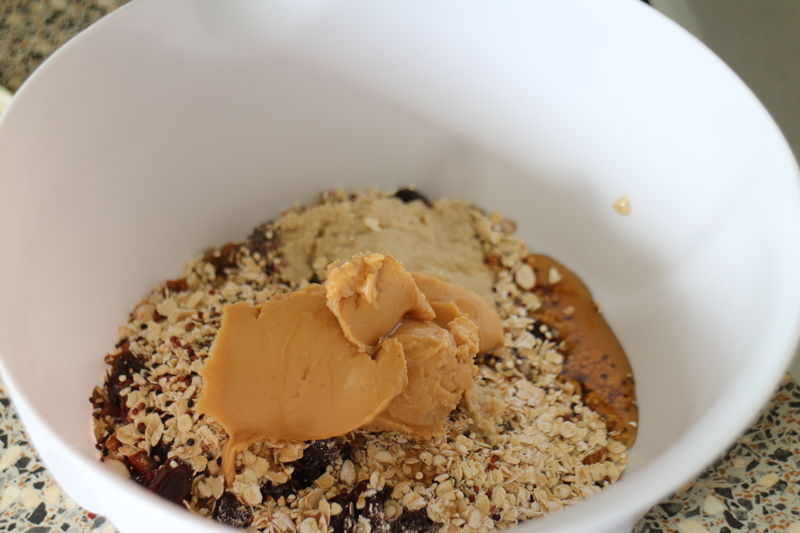 But I made Homemade granola as you saw in the title of course. …just because I think that’s the best way to do it. Then I just dumped my mixture on to a baking tray with some parchment paper and spread it out so every bit would be evenly baked. Put it in the oven for about 20 minutes. You will need to move things around half way through the baking time. So it will be crunchy on both sides. 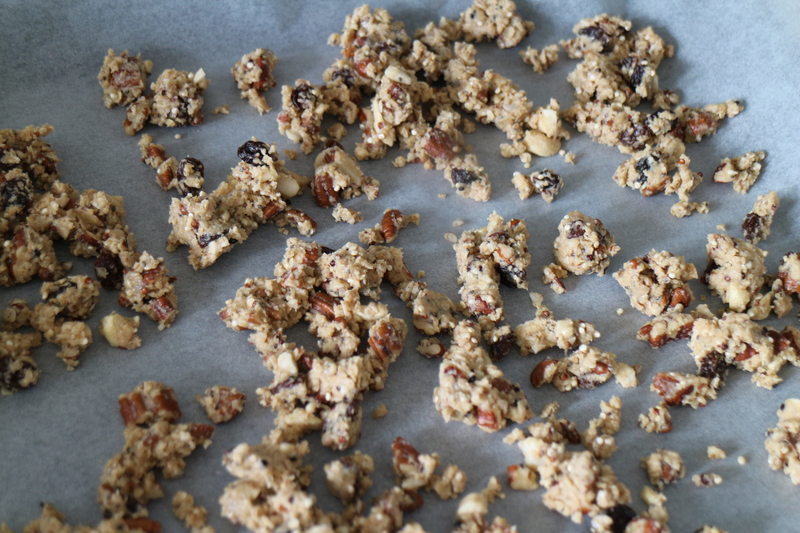 You will also need to let the granola cool down. For at least 20 minutes. After 20 minutes there is nothing left but to add a bit of yogurt in to a glass or a bowl. 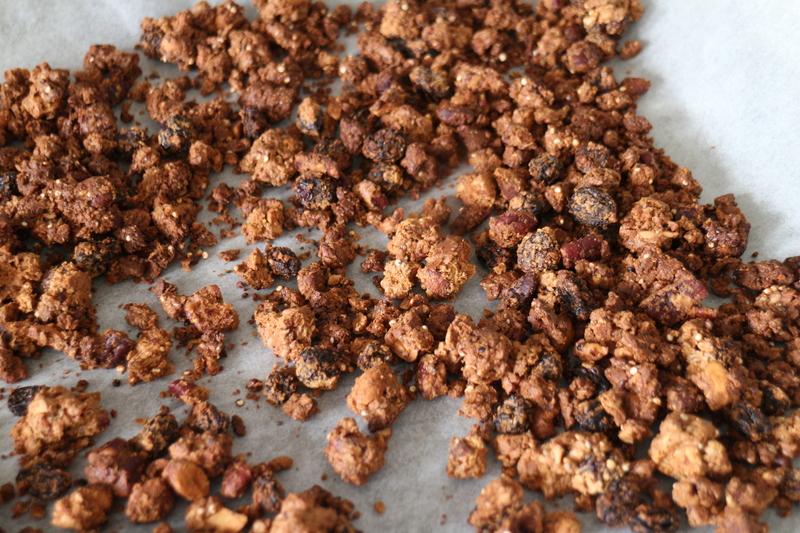 After I took it from the oven I realized that adding raisins to my mixture was maybe not the best idea. So I’m not listing them in the ingredients list. 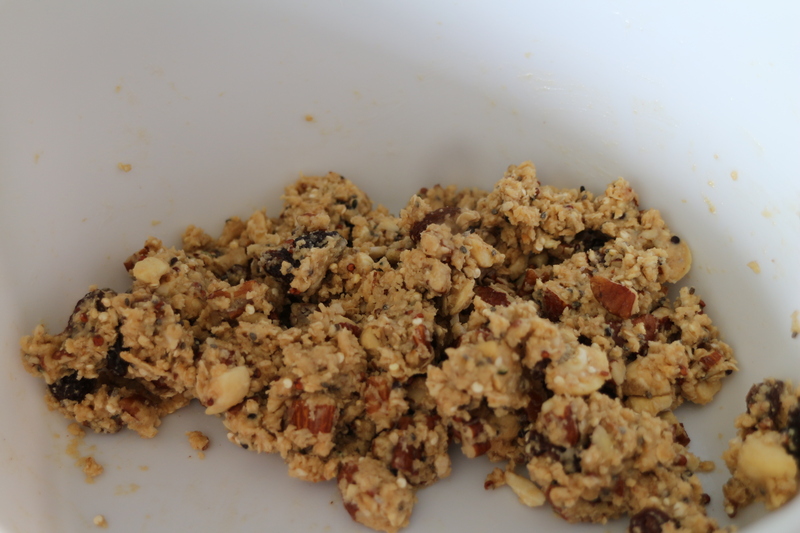 You can add them in with the yogurt if you still want to add raisins. The finale result is that it’s amazing ! 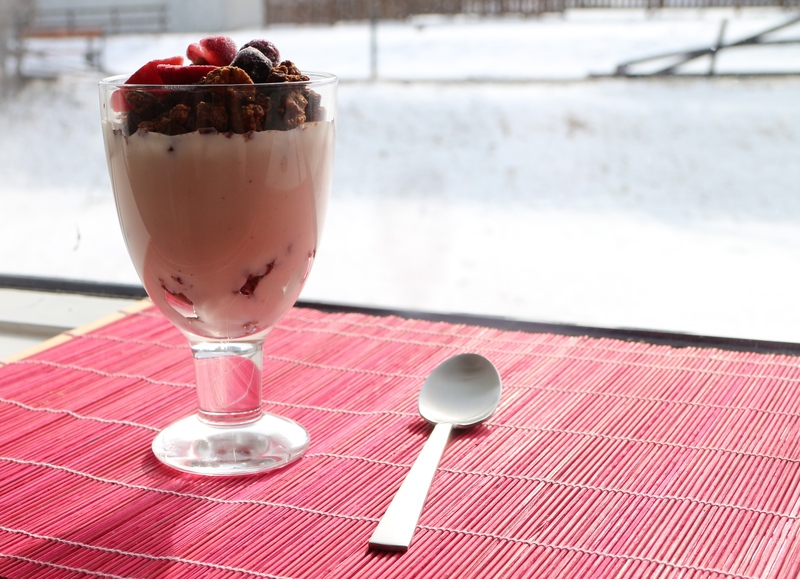 You can not believe how quickly this glass of yogurt and granola disappeared. I used a vanilla sojade yogurt to fill my glass. So good. I’m in love with this vegan yogurt. The granola made it just so much better than it already is. I’m sure it’s super delicious! !